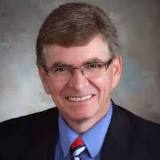 Our speaker for April 23rd will be Mayor James O. Langfelder, mayor of Springfield, Illinois, the state capital and seat of Sangamon County. Prior to his election to Mayor of Springfield, he served as the city treasurer for three terms spanning from 2003 to 2015. Please make a point to come to the meeting, noon @ Golden Corral. ← 100 Years, Save The Date!!!! !